"I am delighted to have been asked to write a testimonial for Natalie (Gosh Golly). We have worked with Natalie for many years, after having been recommended to her from a marketing consultant we were working closely with at the time. 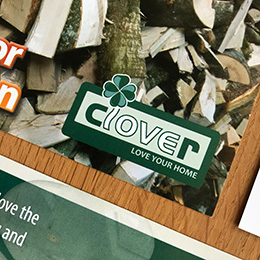 We underwent a complete re-brand, including new logos, stationery, website, advert design, van and exhibition trailer signage and finally an A5 magazine to promote our business to our customers and prospective customers at the shows and exhibitions we attend. On every occasion, Natalie has been wonderful to work with. Her designs are eye-catching and current and she herself is always friendly and approachable, professional and knowledgeable and never gives the impression that anything is too much trouble (even when dealing with stressful colour-matching issues and tight deadlines). I have absolutely no hesitation in recommending Natalie and Gosh Golly and would never consider using anyone other than her for any of our work. I am also very happy to be contacted by telephone - for anyone who prefers a verbal recommendation!"